Solo double bass albums are few and far between. Those who have dared to venture into the barren territories are mostly adventurous jazzmen: Barre Phillips, Joëlle Léandre, Malachi Favors, Alan Silva, William Parker, Dave Holland, Michael Formanek, Miroslav Vitous, Ron Carter, Eberhard Weber, Henri Texier, Renaud Garcia-Fons, Jonas Hellborg and so on. The American musician Larry Grenadier has played with famous names such as Paul Motian or Pat Metheny, though most will know him for his work from the 25 years that he spent in Brad Mehldau’s Trio. Recorded at Avatar Studios in New York and produced by Manfred Eicher from ECM, The Gleaners is the result of introspection. "The process for making this record began with a look inward, an excavation into the core elements of who I am as a bass player", writes Grenadier in the cover notes. "It was a search for a center of sound and timbre, for the threads of harmony and rhythm that formulate the crux of a musical identity." He adds that it was originally Eicher’s idea, being a trained bassist himself. 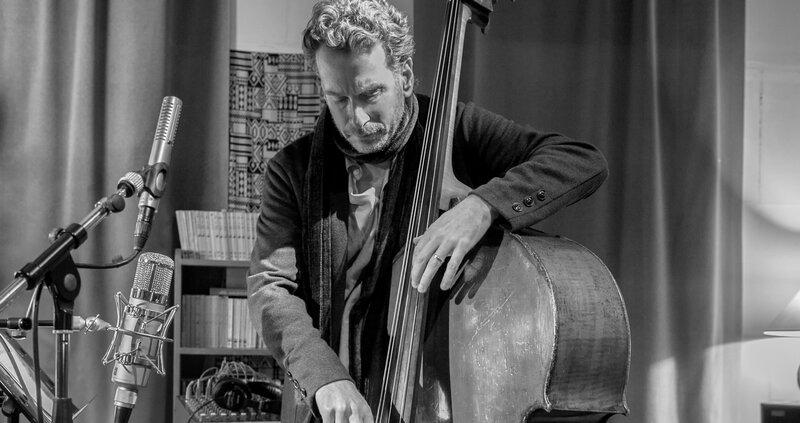 "Few people truly know how to treat the double bass sonically in the studio, but Manfred concentrates on bringing out its special qualities. In making The Gleaners, he was important in the editing and the mix, really helping me to shape the album." Larry Grenadier uses several techniques and tunings here to make the record come alive and offers up a vast sound palette. With seven original compositions (including one, Pettiford, which is dedicated to the double bassist Oscar Pettiford, his childhood idol), a cover of Gershwin's My Man's Gone Now and a medley of John Coltrane's Compassion and Paul Motian's The Owl of Cranston, The Gleaners displays a rather wide array of emotions and is beautifully unique.